Absolutely an outstanding set Coming from a a family of 5 and two adult cooks.These are excellent. Measuring marks inside, heat evenly, strainer lids! Whats not to like. 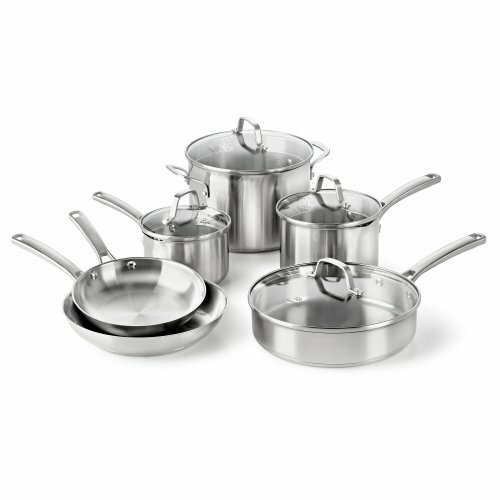 Unlike ceramic or teflon or coated stuff that flake into your food, these are built to last.Handles are comfortable, set is beautiful.Advice, if you dont know how to cook on stainless please cook on low and medium. Also when frying use an oil. Things can stick bit they clean easy.